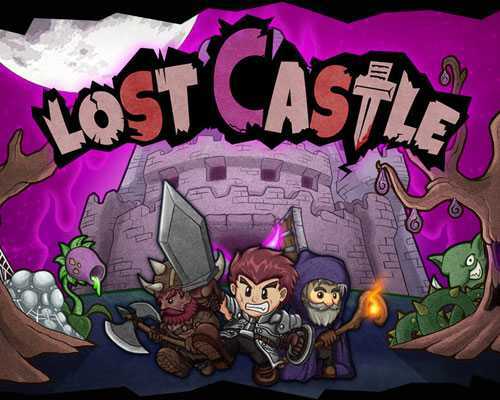 Lost Castle is an Action, Adventure and RPG game for PC published by Another Indie in 2016. Ready to enter the dangerous dungeons? Before the wizards destroyed everything, Castle Harwood was a great place for the people to live. Now, You should defeat the invaders. The castle is under the control of the demons. They do whatever they like with this old castle. You’re one of the brave warriors who want to fight the dark army. It’s not easy to remove all the areas from the enemies. You may need help in the fights, But you have to be able to defend yourself without it. You can choose a weapon to get some skills by using it. There won’t be lots of equipment to use in the first level of Lost Castle. So, You have to try hard to unlock new items. There is some information about your health point and energy on the top of the screen. While you’re playing Lost Castle, You have to look at them. When your health point bar gets finished, Your character dies. So, The players should never let it get finished. Your energy bar is another important thing in this action adventure game. You can’t use your magical skill for limitless times. Don’t worry about it. Because there are over one hundred weapons that can be used instead of magical powers. Protecting your character is so important in Lost Castle too. There are more than fifty types of armors that the player can purchase for the characters. If you like to experience this title in co-op mode, You’re free to! 6 Comments ON " Lost Castle PC Game Free Download "
I love this site .. I’m getting some really good games here..